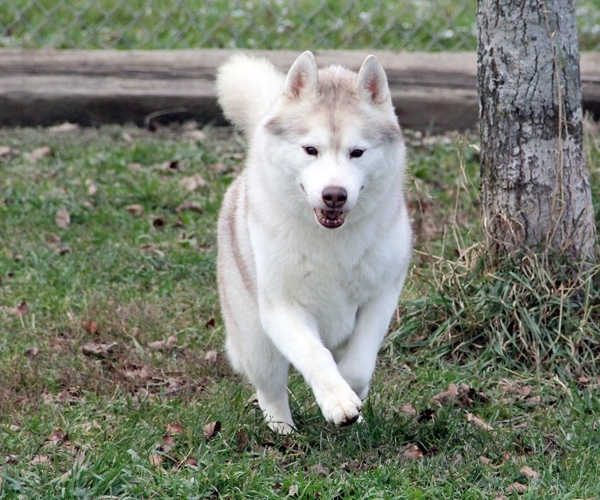 Jalerran Siberians is a small show kennel located in Western Pennsylvania near Cook Forest State Park. We are located about two hours north of Pittsburgh, two hours south of Erie, and an hour east of the Ohio border. 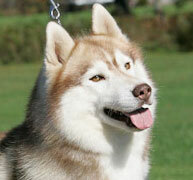 Our first Siberian began owning us in 1996, and “Potato Chip Syndrome” struck shortly afterwards. We maintain a small number of dogs in an effort to provide individualized attention to each. Our three children play a large role in providing proper socialization for the rest of our extended family. Jalerran Siberians began as being briefly referred to as Highland Siberians. We chose this name arbitrarily, because we lived in Highland township. Upon becoming more involved with the breed and the show scene, we learned of a kennel with almost the exact same name. We had hoped that the similarities between names wouldn’t be that much of an issue; however, eventually we started getting email from people who had happened upon our website and mistaken us for the other kennel. And, when show entries, which had been faxed to the superintendents were not clear, they would always put the wrong kennel name in the catalog. Out of the utmost respect for the other kennel, we decided to go with something different. The new name, Jalerran, is a combination of the middle names of some of the human members of our family; Jane, Lee, Rae, and Ann. We are pronouncing it JA (Juh)……LERR (lair)…….. AN (en or an). It does not appear to be similar to the name of any Siberian kennel we’re aware of, and we’re hoping that it is not a swear word in some foreign language. Siberians are not the best breed for everyone. It is our expectation that prospective owners become educated about the breed characteristics and show a strong commitment to the breed and maintaining its integrity. Our puppies are raised indoors and their temperaments are thoroughly evaluated. 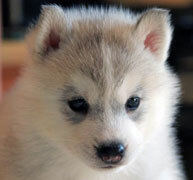 Health screenings are completed routinely in an effort to produce puppies free of health defects. 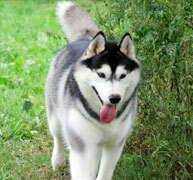 Our primary focuses when planning a breeding are health, temperament, and conformation – in that order. 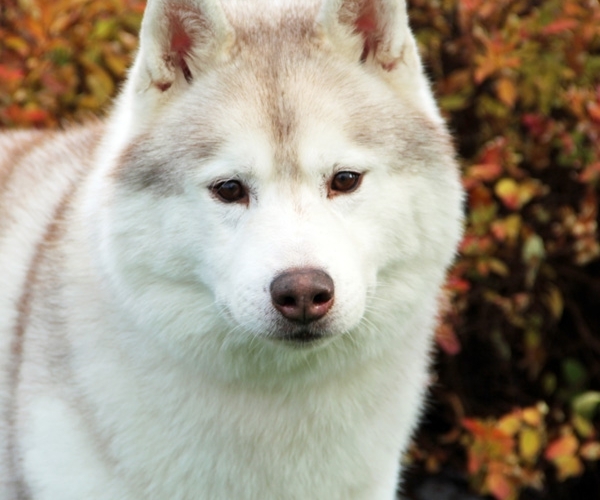 We encourage people who may be interested in the breed to consider these aspects, as well as a breeder’s policies, before restricting themselves to a specific coat or eye color. 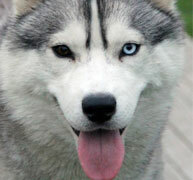 Breeders whose only goal is to produce blue eyes or certain coat colors are not reputable. We are home to a couple of Champions. We have owned/co-owned a couple of American and Canadian Champions over the years. We have bred a couple of American and Canadian Champions. We have bred/owned a couple of top producing/winning dogs overseas (Belgium, South Africa, Thailand, Korea, Hong Kong, Latvia, Brazil). We have bred a couple of dogs that race in sledding/mushing competitions. We have bred/owned a couple of dogs that have and have not passed their eye exams, and we are open and honest about the health of our dogs. We have been through a couple of ups and downs over the years while dealing with the many difficult people in the Siberian Community; however, we have also continued to meet people who renew our faith that not everyone in the breed is difficult. 3361 Miola Rd. Clarion, PA. 16214. Site design and hosting by Application X.